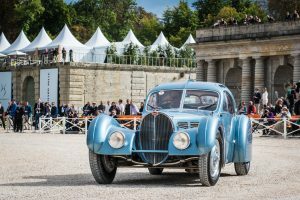 The greatest collectors in the world flock to the first four Chantilly Arts & Elegance Richard Mille Concours d’Etat. 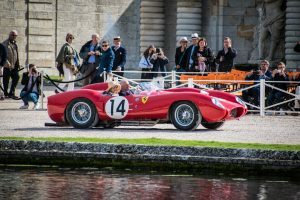 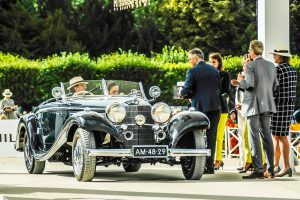 One hundred exceptional cars representing the most beautiful creations in the history of the automobile come to the Chantilly Chateau from all over Europe, the United States, South America and Asia. 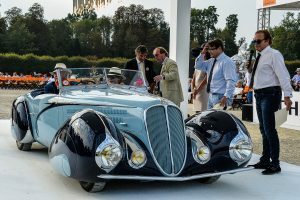 They were on display on Le Nôtre’s lawns forming a unique ephemeral museum and they show off their charms with a single aim – to be awarded the Best of Show, the “crème de la crème” at Chantilly – where else? 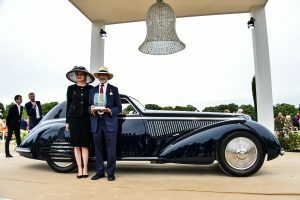 In each of the 15 classes comprising some six cars rareness, history, state of conservation and upkeep are the main criteria taken into account by the hand-picked jury when examining them to select the class winner, an obligatory step to go on to the final which will consecrate the “Queen of the Day.” The FIVA (International Federation of Historic Vehicles) will award a prize for the most beautiful and interesting restoration.